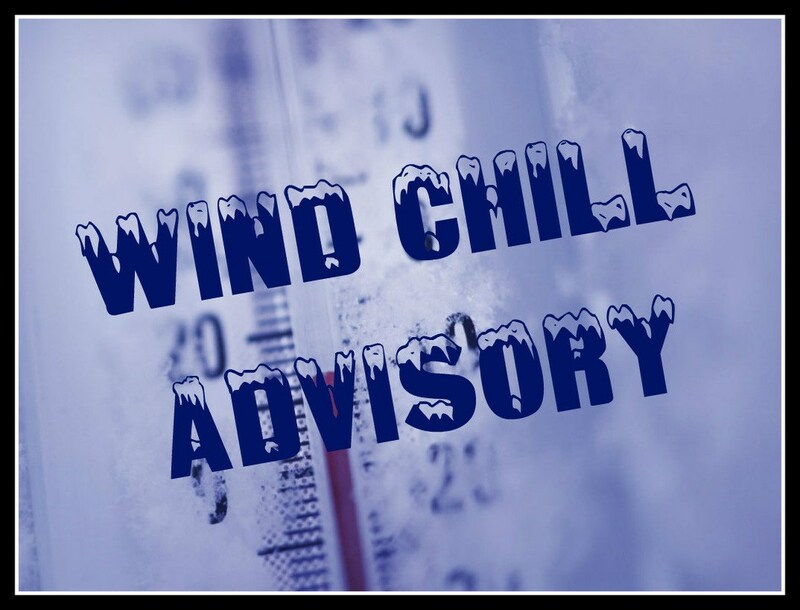 GALION — A Wind Chill Advisory is in effect from 6 a.m. to 1 p.m. Friday. Wind chills as low as 14 below zero are expected. Much colder air will spread into the region before sunrise and continue to drop temperatures into the middle of the morning with a slow recovery toward noon. A Wind Chill Advisory means that cold air and the wind will combine to create low wind chills. Frostbite and hypothermia can occur if precautions are not taken. Make sure you wear a hat and gloves.Wind chills as low as 14 below zero expected.